What our computer has been forecasting for 2016 is unfolding right before our eyes. It is a product of the trend within the economy. Many Republicans I know are saying that the last thing they want is another Bush. The establishment just does not get it. They have been assuming that Trump is just another Ross Perot who will fade quickly, but they are wrong. Many people, Democrat and Republican, will vote for Trump BECAUSE he is not owned by someone and speaks his mind. They do not fear him taking office for the job will restrain anyone who is there. 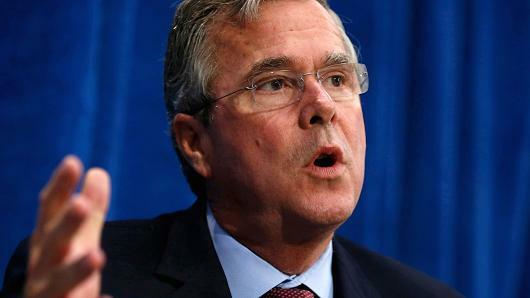 Jeb Bush has lost his top three fundraisers. This is a very bad omen for Bush. We may be looking at an internal revolution within the Republican Party. Our turning point on the ECM, October 1, may see the government shutdown because Boehner cannot deliver the Republican vote, as many Republican members are part of the Tea Party. So 2016 is shaping up to be very interesting indeed. The country club Republicans are in a state of PANIC when it comes to Trump. Politicians are no longer trusted. They do not grasp what to do anymore.